﻿ What is thought leadership? Like a lightning bolt, the 140-character-or-less insults point to an issue for all of us in this emerging discipline of thought leadership marketing: Is “thought leadership” the right term? To those who aren’t familiar with the term “thought leadership,” these are natural reactions. But perhaps the most serious issue with the term emanates from those who know it well: It’s presumptuous. I’ve heard people say things like “We have a lot of thought leadership coming out in the next few months” or “We publish a ton of thought leadership.” The problem with referring to their content as thought leadership is that it is often wishful thinking. Much of the content isn’t very good. And by labeling any content as “thought leadership,” it can lull us into a false complacency – that anything we produce, no matter how little effort we put into it, is exceptional content. The other big problem with using the term “thought leadership” interchangeably with “content” is that it starts the content producer on the wrong path with his audience. By using the term, he hopes the people he’s trying to impress (clients, prospects, the press, his boss, etc.) will automatically see his ideas as compelling. Of course, it doesn’t work this way. Calling a zebra a striped horse doesn’t make it a horse. In fact, by referring to one’s content as thought leadership, I argue it can have the opposite effect: It sets off people’s BS detectors. Before they read your material, by labeling it “thought leadership” you’ve raised their skepticism and their expectations. So am I saying we should abandon the term "thought leadership marketing"? Actually … no. The reason is that finally all of us in this emerging profession have the beginning of a common nomenclature. That makes it easier to sell this work and for clients to seriously get involved in it. Thank God it no longer takes two hours to educate someone that this is a legitimate form of marketing. Many marketing heads in professional services and other B2B firms now agree. Additionally, I like the term “thought leadership marketing” because it should remind companies that the idea is to become and be seen as a leading expert on some problem in the world. Terms like “branded journalism,” “educational marketing” or “concept marketing” don’t have such a connotation or cachet. The term “content marketing” is out there as well, but I don’t equate that with thought leadership marketing. I view content marketing as a larger category that refers to material that companies create and then market to educate their target audiences about how to solve some issue. Not all such educational content needs to be seminal, have examples that prove the prescriptions work, and so on (as thought-leading content does). An article that tells you how to put a bicycle chain back on a bike or how to change a car battery is instructional content. It can be a very effective form of content marketing. But no one would refer to it is seminal or “thought leadership” -- just good advice. As a result, I view thought leadership marketing as a subset of content marketing, necessary for some B2B companies but not all. Every emerging management discipline – and thought leadership marketing is a fast-emerging one – needs a term that its proponents can use to practice their profession, sell their skills and move the practice forward. Consider the trajectory of the field of project management. While humans have managed massive projects for centuries (the Pyramids, the Roman roads, etc. ), as a management discipline the field didn’t start to take off until the 1950s, when the term “project management” came into increasing use, according to a book by David Cleland and Lewis Ireland. However, it took another decade and the formation of professional societies in the UK and the U.S. to make it a full-fledged profession with extensive common nomenclature and techniques. There’s been an explosion of intellectual capital on project management since (500 books on the topic were published in 2005 alone). 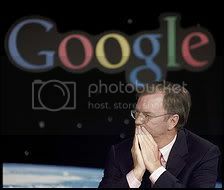 Eric Schmidt's use of the term "thought leadership" is another sign the term is becoming mainstream. That's great for all us thought leadership marketers. Yet we’re still in the beginning stages of having common nomenclature for the discipline and practice: a commonly accepted term for it. Much, much more has to come. Nonetheless, we’re off and running. Very helpful discussion about the pros and cons of the term - my initial response to the term was somewhat negative, as it seems to emphasize the content dissemination techniques rather than the insight. Plus it seems tacky to call yourself a thought leader - like Chris Brogan and Julien Smith said about trust agents, "let someone else call you that." But as long as the term is thought leadership *marketing*, then we're not talking about ourselves, but our clients - and will likely be very circumspect about even mentioning such a term in their content. I do think a better term is around the corner, as publishing is becoming a business capacity rather than a discrete industry to court - I think we're naming something even bigger than just thought leadership - it's also about new tools of publishing and marketing intertwining more and more. (I also think "self-publishing" as a term will disappear once the capacity becomes better developed and distributed, and will lose its stigma.) But in the meantime, agreed - this is a good term to gather under for now.